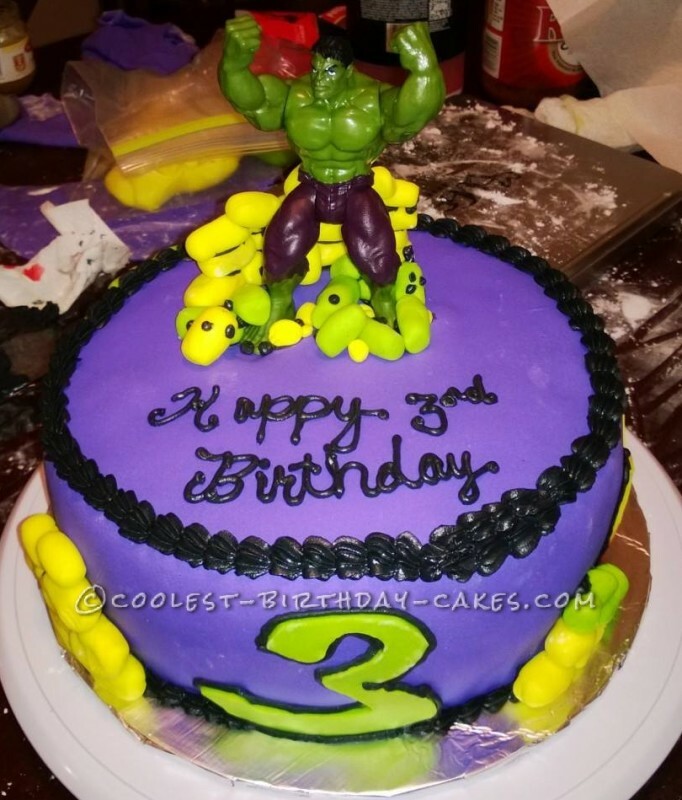 I had fun making this Incredible Hulk 3rd birthday cake. It was a 3-layer chocolate and vanilla cake with vanilla Swiss meringue buttercream covered in purple fondant. I piped a black edge around the bottom and top of the cake. 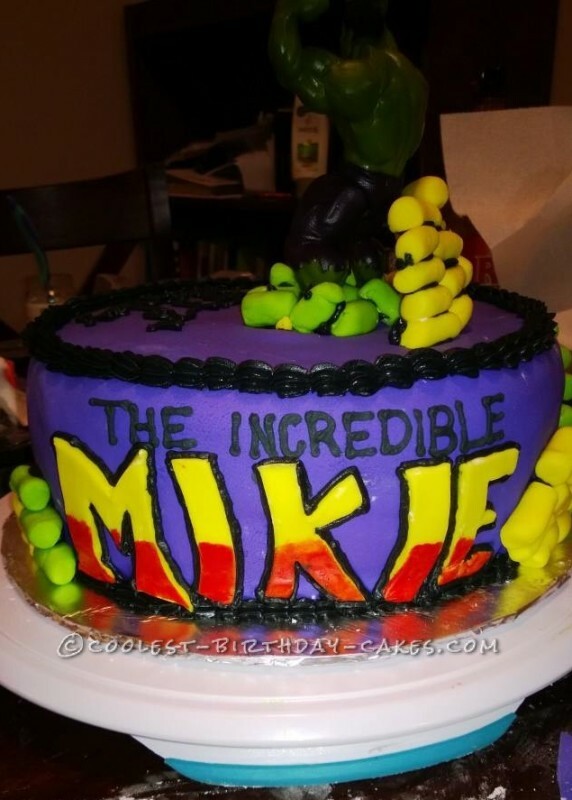 I made a bunch of fondant “bricks” and painted red gel paste on yellow cut-out letters to resemble heat or fire for the birthday boy’s name. 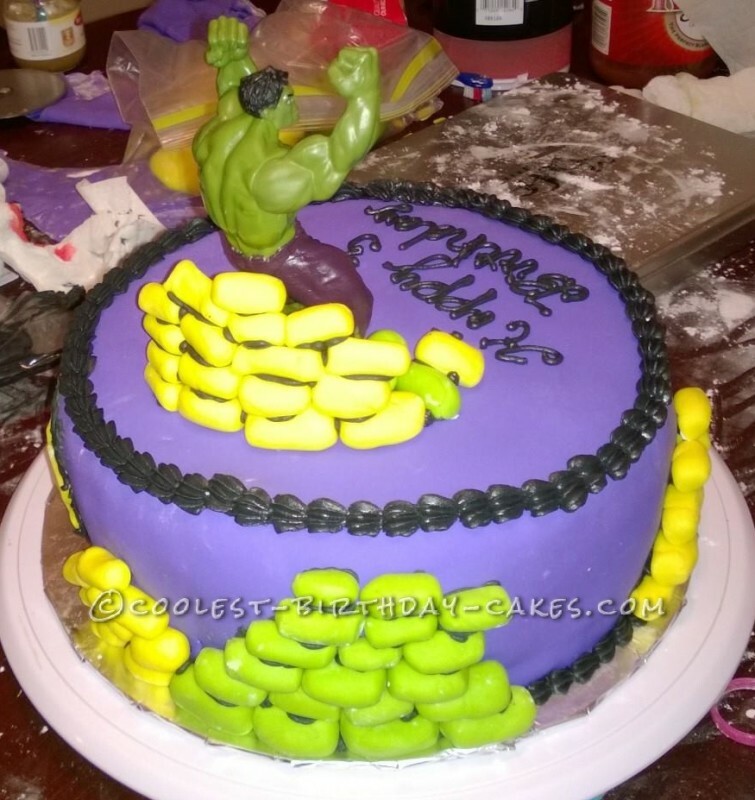 I placed a Hulk action figure on the top of the cake with a wall of “bricks” behind it and some around it as well.